Welcome to the September edition of our eNews! Spotlight on Play It Forward Pittsburgh. Play It Forward Pittsburgh is a bold, new initiative that is working to transform Pittsburgh into The City of Organ Donor Champions. They are bringing together the biggest names in Pittsburgh sports and medicine to launch a city-wide movement to increase organ donor registration, raise funds and awareness, encourage policy updates and change the way people feel about organ donation and transplantation. 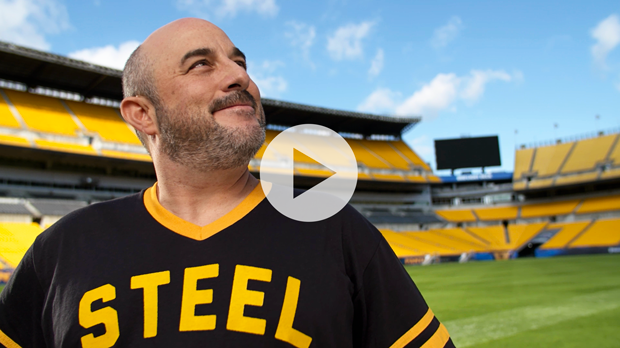 BD&E was recently enlisted to help lead the charge by developing an integrated campaign including this PSA to be broadcast and shown in-stadium during Steelers, Penguins, Pirates and University of Pittsburgh Panthers sporting events. Learn more about this life-changing campaign. BD&E's digital strategist, Aimee Murphy, learned to sew when she was a kid, and has been excited to teach her daughter the same superb sewing skills. This summer, 7-year-old London entered a #kidscanlearn2sew Sewing Contest sponsored by the McCall Pattern Company. 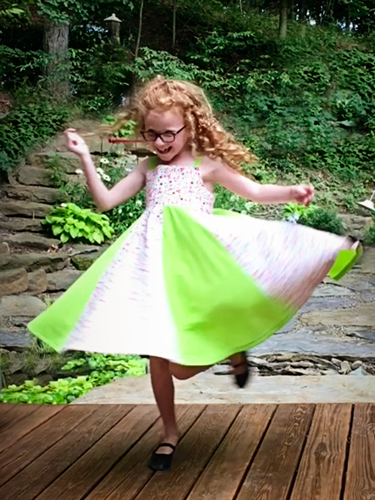 She had a lot of fun making her one-of-a-kind dress and learned so much in the process. Her entry was featured on the McCall Facebook page and has already been viewed over 66k times. Congratulations London, we are so proud of you too! Bella would like to say Happy National Dog Week to all of our canine enthusiasts, and we would like to take this opportunity to recognize and thank her. For she is the gentle force in our lives – innately knowing when to offer her love and remarkable therapy. 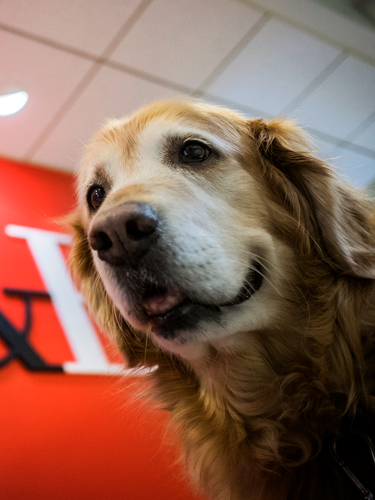 She is the ever-present smiling face, wagging tail and chair of our welcoming committee. She is our life coach, companion and so much more. Stop by for a dose of Bella any time! Thanks for your time. We will catch up again next month. Fall is upon us, gather your friends and family, chill the drinks, and cheer for our Pittsburgh Steelers. Here We Go Steelers.